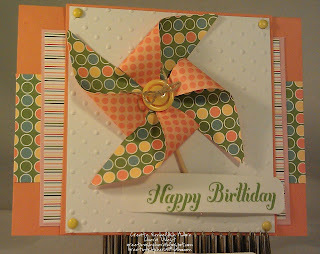 Its almost the end of September... yes, its another BIRTHDAY card.. I am sorry, I can say that there wont be many of them to start off OCTOBER.. OK? Deal..? instead .... 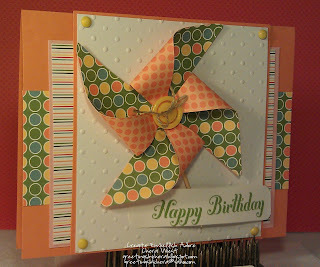 I give you more JUST ADD CAKE designer style paper. Isn't it lovely? 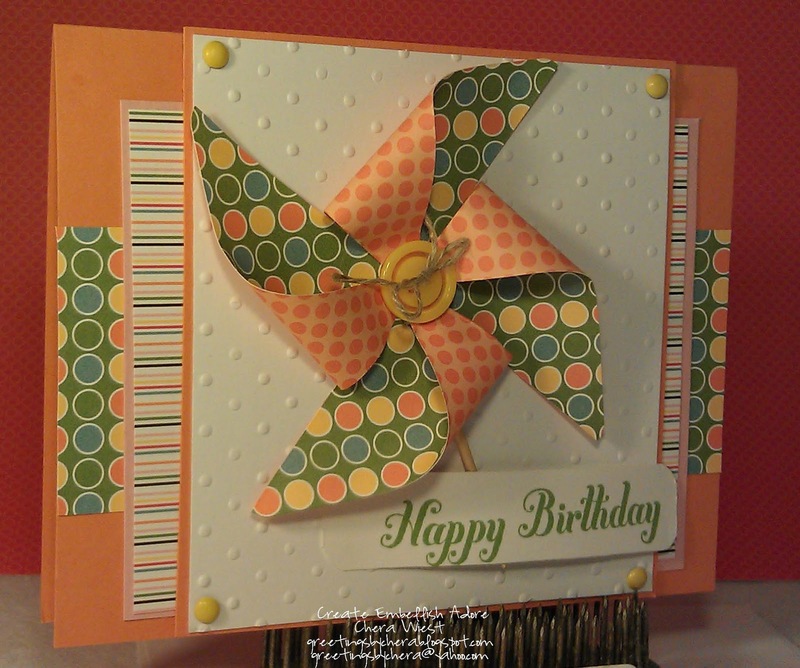 I used two different sheets, and man I love the colors and the designs.. it doesn't send me spinning! Besides making the pinwheel, I added a toothpick as the handle, button with twine on top. Then I used the Dotted embossing folder with four yellow brads. Like I said - they were fun!